Toronto Film Society presented Only Yesterday (1933) on Sunday, November 18, 2018 in a double bill with Madame Butterfly as part of the Season 71 Sunday Afternoon Special Screening #5. Production Company: Universal Pictures. Producer: Carl Laemmle Jr. Director: John M. Stahl. Screenplay: William Hurlbut, Arthur Richman, George O’Neil; based on the book by Frederick Lewis Allen, “Only Yesterday: An Informal History of the 1920s”; adapted from the novel by Stefan Zweig, “Letter from an Unknown Woman”. Cinematography: Merritt B. Gerstad. 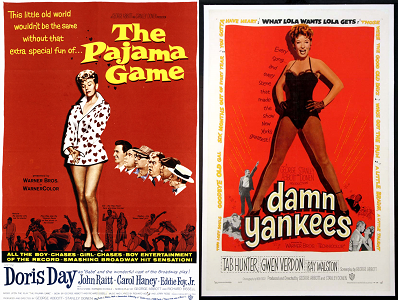 Film Editing: Milton Carruth. Music: C. Bakaleinikoff, Walter Donaldson. Costumes: Vera West. Release Date: November 1, 1933. Cast: Margaret Sullavan (Mary Lane), John Boles (James Stanton “Jim” Emerson), Edna May Oliver (Leona), Billie Burke (Julia Warren), Benita Hume (Phyllis Emerson), Reginald Denny (Bob), George Meeker (Dave Reynolds), Jimmy Butler (Jim Jr.), Noel Francis (Letitia), Bramwell Fletcher (Scott Hughes), June Clyde (Deborah), Jane Darwell (Mrs. Lane), Oscar Apfel (Mr. Lane), Onslow Stevens (Barnard, Party Guest), Louise Beavers (Abby, the Emersons’ Maid), Betty Blythe (Mrs. Vincent), Natalie Moorhead (Lucy), Marie Prevost (Amy), Julia Faye, Astrid Allwyn. The first time I saw Only Yesterday was many years ago at a Toronto Film Society May weekend seminar. The film stuck with me throughout the years and I was delighted when I finally acquired a copy a few years ago. I still find it has a surprisingly modern point of view. While enjoying the subtleties of sexual misconduct, this appeals to me by not being blatant, yet I love the way it still spells everything out. Probably what impressed me the most was Aunt Billie Burke’s supportive, sensible and totally modernistic ideas, and the comfort it gave to her niece Margaret Sullavan, in her first screen role. The story’s timeline is based on Only Yesterday: An Informal History of the 1920’s by Frederick Lewis Allen, which was originally published in 1931. Allen was a former editor-in-chief of Harper’s magazine, and detailed in his book the history of 1920s America, from the end of WWI to the stock market crash and the beginning of The Great Depression. Since Allen’s book was non-fiction, the story had to come from somewhere or someone else. When I had viewed the film for my second time back in 2015, it put in mind the film Letter from an Unknown Woman, which was filmed in 1948 and directed by Max Ophuls. So I was nicely surprised to discover that the story for Only Yesterday was based on Stefan Zweig’s 1922 novella, Letter from an Unknown Woman. Film Buffs are probably more familiar with this 1948 film, starring Joan Fontaine and Louis Jourdan. If you do remember it, you can keep in mind some of the similarities and differences. Never personally having read the novel, I can’t compare what is true to the original story, but if you have, that’s something else to keep in mind. For instance, both stories feature a young boy, but things end differently for each of them. And although both women love an insincere man, these women are very different from each other. Joan Fontaine was always good at portraying women who are somewhat quirky. As well, as an adult, she could also play children a la Mary Pickford. Margaret Sullavan’s character comes off more straightforward and understandable, while Fontaine’s character is a bit odder, appearing, in my opinion, somewhat stalker-like. 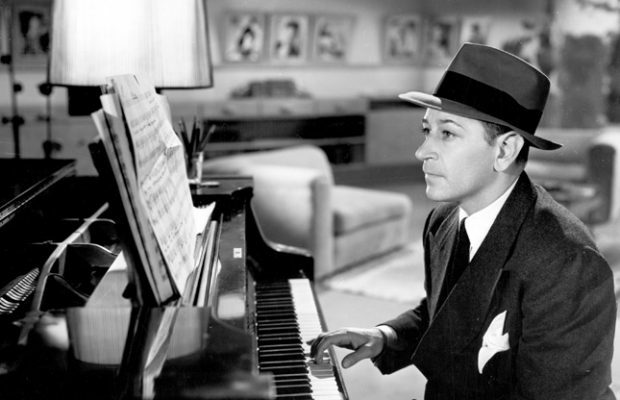 In the novella, the main male character is a well-known writer, while in the 1948 film he’s a concert pianist. In today’s film, John Boles begins as a solider fighting in WWI while later becoming a very well-to-do stockbroker until the inevitable happens. John Boles falls into a few different categories. Some people may think of him as a singer, but I think of him being typecast as a man who wants his cake and eat it too. He began in Silents but at that time, since he primarily thought of himself as a singer, he preferred the stage. 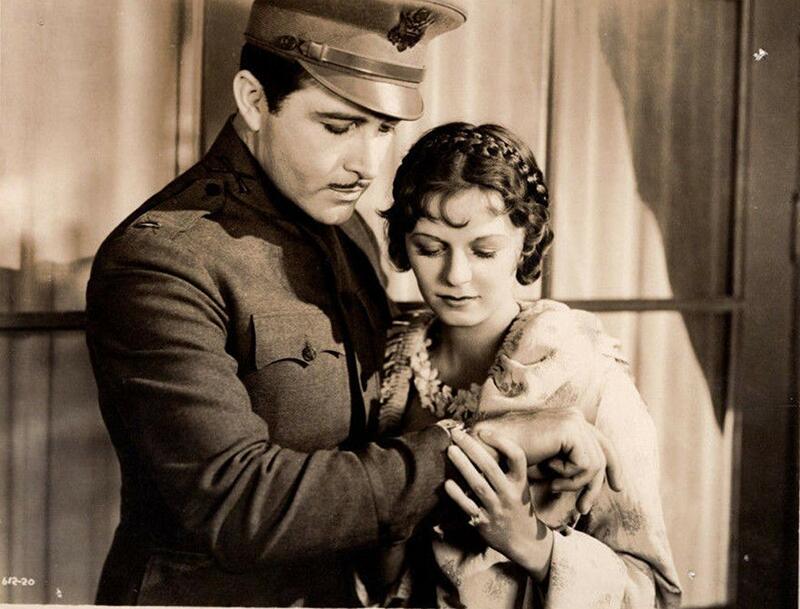 However, when Gloria Swanson laid eyes on him, Gloria wanted him to star with her in the 1927 film The Love of Sunya and Gloria usually got what she wanted. But for me, after watching him in Preston Sturges’s filmed play, Child of Manhattan made in 1933 with Nancy Carroll, it brought other films of his with other similar roles into mind such as Back Street (1932) also directed by John Stahl, The Age of Innocence (1934) and one of his more well-known films, Stella Dallas (1937). On the other hand, he made three films with Shirley Temple. And in his private life, he was one of the more unusual Hollywood men in that he remained married to his wife for 52 years until his death in 1969, raising two children. 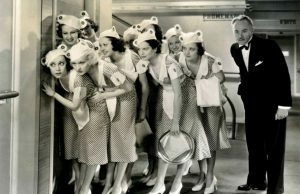 There are a number of glimpses of famous faces to look out for, such as Edna May Oliver, Benita Hume, Reginald Denny, Noel Francis, Louise Beavers, Mary Doran, Dennis O’Keefe (who had over one hundred uncredited bit parts in films between 1930 and 1938), Franklin Pangborn, Julia Faye (DeMille’s long-time mistress) and famous Silent Star Marie Prevost among the huge cast. If you enjoy the contemporary write up below, you can find more by following the link attached to my name under this introduction. Hope you brought a second hankie! Enough said. Charles Beahan is responsible for Margaret Sullavan’s entrance into the stars’ ranks as the result of her hit in Only Yesterday, with John Boles. 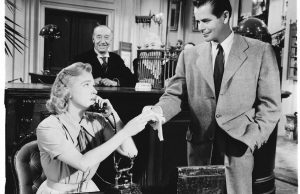 He knows Miss Sullavan well—so well that he knew how to overcome her fear of Hollywood’s habits with artists—“typing,” poor pictures, and fabulous salaries paid for indifferent work. Mr. Beahan is the co-author of “Jarnegan” and “Society Girl,” and author of “Night for a Lady” and many other works. You will remember that, about a year ago, he married Sidney Fox, with whom, it might be added, he is ecstatically happy. Trumpets sound in Hollywood; brilliant lights sweep heavenward; and producers, directors, supervisors, cameramen, and even office boys are colliding with each other in the rush to take bows—for a new star has been born. With tinsel banners waving, broad grins beaming, a bright red feather for each everybody’s cap—the studio officials at Universal are patting themselves on their tummies in anticipation of a long, comfortable winter, and perhaps other winters to follow. And why? Because Margaret Sullavan, an unknown stage player, free, white, and twenty-odd—not a raving beauty but a swell actress—came to Uncle Carl’s sprawling studio carelessly tucked away in the California foothills, and gave such a performance in Only Yesterday as has not been seen in these parts since Garbo startled the natives in The Torrent. Fairly bursting with pride, Universal feels that it has in Margaret Sullavan what is described in Hollywoodese as “the sensation of sensations,” the makings of a household word, and the runner-up for the uncrowned queen of the cinema. 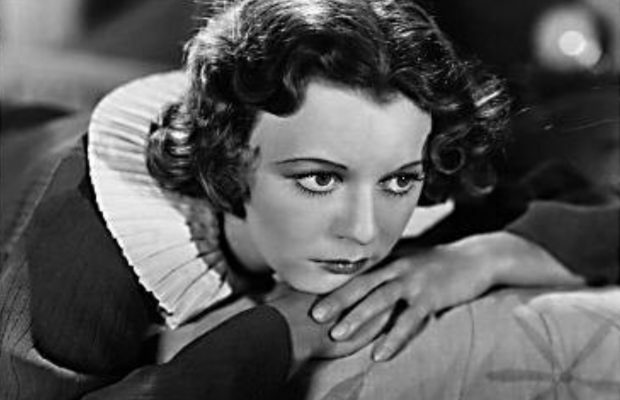 And what does Margaret Sullavan think? That blue-eyed, Southern Irish miss believes that she is a total flop in pictures; that she photographs like a Pekinese (this is her own description); and that she had better stick to the stage if she wants her career to last. A courageous reaction from an actress, and yet Margaret Sullavan is sincere in her beliefs and she left the projection room at Universal after seeing a preview of Only Yesterday with the firm conviction that as a screen actress she would never make a go of it. On the other hand, the entire screen world is proclaiming her performance and calling her the biggest discovery since Hepburn. I knew that no amount of persuasion would alter her attitude. I knew that she had already turned down offers from Paramount and Columbia because of the long-term contract bugaboo. She would rather remain on the stage for one-tenth of the salary she would earn in pictures than be handed parts for which she was unsuited. 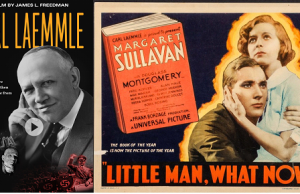 Naturally, I was aware of the fact that Junior Laemmle would never agree to such an arrangement as the adamant Miss Sullavan was demanding, especially from an unknown player, but so convinced was I that this girl had the stuff of which great screen stars are made that I decided to spend some of the company’s money in testing her. “What’s the use of wasting the money?” she said, “They won’t take me and, besides, if they do want me, they will have to accept me at my terms and I’ll have to know what part I’m going to play first.” I ceased arguing and began to tell her what I had up my sleeve. I told her about a part as big in emotional scope as Madelon Claudet—the part of the heroine in Only Yesterday. I began to tell her the story, and as I went on describing scene after scene, she dropped her casual air and became intensely interested. When I was finished, she was on her feet, enthusiastically asking if she could play the part. I told her I was not sure, but it was my fondest hope that she would play it; that aside from Helen Hayes (whom the studio could not obtain), she was the one person who could do it. Like the good little trooper that she is, Margaret took home scenes from Only Yesterday and studied them day and night. Finally, the test was made and it was truly magnificent, because Margaret had put her heart and soul into it. 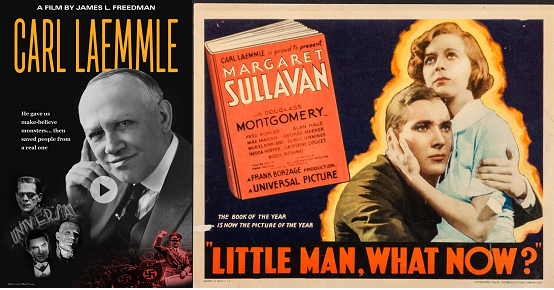 I wired Laemmle, Jr. A few days later, after the test had been sent out to the studio, Junior wired me to start negotiations with Miss Sullavan. However, John Stahl, the famous director of a number of pictures, Back Street among them, was not thoroughly convinced that Margaret was the right heroine for Only Yesterday. He would not agree to her as a final selection until she had come to the coast for additional tests. So eager was Margaret to do the picture, and so imbued was she with my confidence that she would secure the part, that—wonder of wonders—she left for Universal City. It was no surprise to me when, two weeks later, I heard from the studio that Margaret had come through her additional tests with flying colors and was set for the leading role in Only Yesterday. Her contract provided that she was to do that film and one other picture, the story of which she must approve. The contract contained additional options, but in every instance she had partial approval of her stories and, furthermore, it contained a clause giving her the privilege of returning to New York and appearing in one Broadway play each season. Quite an unusual contract for a totally unknown stage player, yet it was the only one Margaret Sullavan would sign, and Universal needed her so much that they quickly acceded to her demands. If they had not come to terms, Margaret would have just as readily kept on playing in the theatre and possibly gone into some stock company for the summer, as she had done in seasons past, at a weekly salary of twenty-five or thirty dollars a week. She worked fourteen weeks in Only Yesterday and earned $25,000. Her attitude is difficult for the layman to understand. It is totally impossible for picture executives to comprehend. They do not seem to realize that an actress, if she is truly an artist and sincere about her work and her career, must have the satisfaction of appearing in roles which give her pleasure and an opportunity to develop. Margaret means to get to the very top of the acting profession. Money itself holds no lure for her and in her efforts to acquire the place she already has in the theatre, she has undergone struggle and privation—and would cheerfully do so again. The daughter of Cornelius Hancock Sullavan, a broker, and Garland Councill, a lovely Southern belle, Margaret made her first appearance in Norfolk, Virginia, on May 16, 1911. Even in her early days at the Walter Taylor grammar school, the redoubtable Peggy had determined upon becoming an actress. She kept her ambition pretty much of a secret because her parents had a holy horror of stage folks. They spent money lavishly on her education and fondly hoped that when she was “finished” she would marry one of the nice young men who beaued her about. To this end, they sent her successively to St. George’s private school; Chatham Episcopal Institute; and, finally, Sullin College at Bristol, Virginia, where Margaret majored in art and dramatics and studied dancing. After she had finished at Sullin’s, Margaret calmly announced that she was going on the stage. Her father and mother stormed and protested, to no avail. They found they could not break down her determination. Finally, they effected a sort of compromise, and Margaret was permitted to go to the Copley Theatrical School in Boston. She was an exceptional pupil and worked industriously day and night to learn all she could about the technique of acting. E.E. Clive, the director, was so pleased with her sincere efforts that he helped her secure a job with the University Theatre at Cape Cod, Massachusetts. To retrace our steps a bit…. While she was at Cape Cod, there was young actor in the company by the name of Henry Fonda, who fell madly in love with her. He was tall, dark, and slender, and he more than appealed to Margaret. Because their interests were the same; because they felt that together they could rise to the heights, they made the mistake of believing they were ideally mated. They were married. Now they are divorced. No one quite knows why. Margaret’s eyes grow soft and misty when she speaks of Henry, and she always praises him in the highest terms, and he speaks tenderly of her and is deeply sorry that they could not make a success of it. Neither will say more than that. No one will ever know whether it was just another case of a youthful romance gone on the rocks, or if it was the age-old problem in the theatre—that of two artists unable to remain married because of professional jealousies in their work. And now Margaret Sullavan has put all thought of marriage aside until her career has reached the lofty heights to which she is gravitating. Romance thrills her, and there is another man at the present who holds her admiration and respect and possible love. But her career comes first. While she was in Hollywood during the making of Only Yesterday, she did not engage a swanky mansion in Beverly Hills with a series of hot and cold running servants, marble swimming pools, and cooks imported from Paris. Instead, she lived very modestly and quietly in an apartment in the Garden of Allah, which—in spite of its name—is really a very sedate hotel with a community swimming pool and tennis court. Intensely disliking the manner of picture making—because of the long tedious “takes” and “retakes” and the dreary and uncomfortable business of trying to emote under hot lights—Margaret was, however, resigned to her fate; because she liked her part, she put her whole heart and soul into it and tried hard not to complain. However, one day she and John Stahl, the director, had a fierce argument and Margaret determined to leave the place and the picture flat. She walked off the set, leaped into her battered old Ford, drove to the Garden of Allah, packed her belongings, drew her money out of the bank, and was engaging passage on an airplane to fly East when a perspiring Universal official caught up with her and, literally, on his bended knees, begged her to return. The upshot of it all was that Margaret did return. And won her point, apparently, because after this incident she and Stahl worked together amicably. 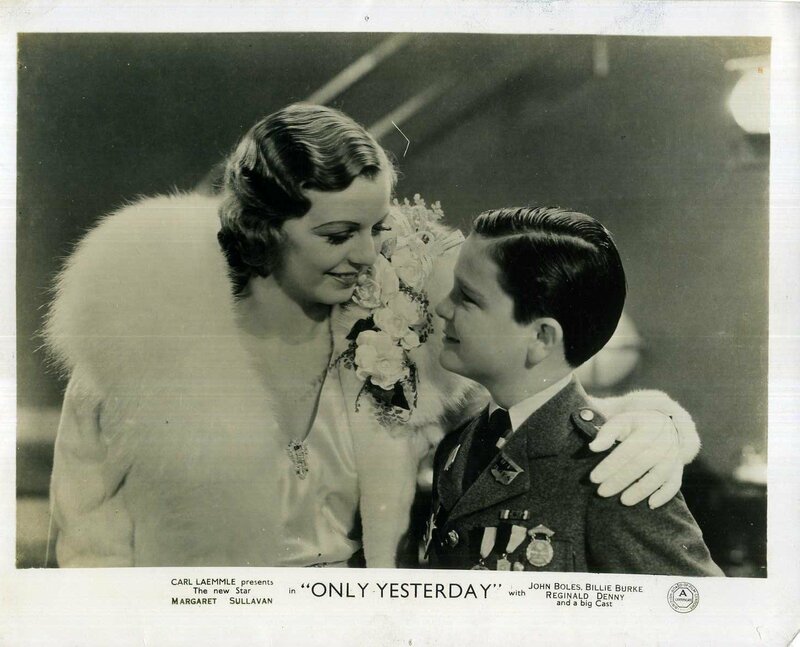 In spite of Margaret Sullavan’s firm conviction that she will never make a popular screen star, it is my opinion that Only Yesterday will bring an immense public to her feet. In spite of what Margaret has to say against herself, a new star has been born to sit in the starry firmament beside such foremost and outstanding luminaries as Garbo, Hepburn, Hayes, and other glittering goddesses of the cinema whose astounding salaries you help to pay. We predict that the little Southern girl who fought so hard to become an actress, and whose ancestors way back in Ireland turned Episcopalian and changed the family name to Sullavan in defiance of the banshees, or something, will not stand for long in bewilderment and wonder at the thing which has happened to her. After she has carefully thought it out with her good, sound reasoning, she will, like her ancestors, defy the banshees of doubt and take her rightful place on the screen.